She was William IV's wife. 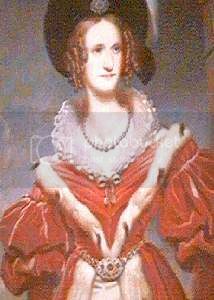 As the Duke of Clarence he lived with an actress, Dorothy Jordan, for many years, and they had something like ten children. 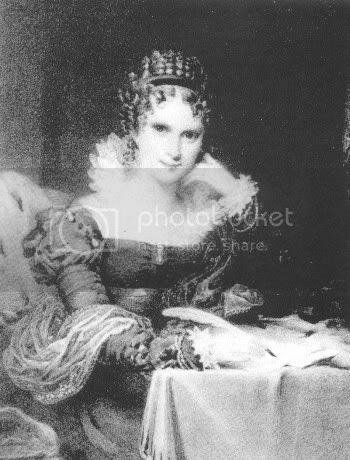 When Princess Charlotte, the only direct heir to the throne, died in childbirth, some of the Prince of Wales's brothers were made to find themselves wives and produce some heirs to the throne, so William married Adelaide of Saxe-Meiningen in 1819. All their children were stillborn or lived a very short time, so the throne went to William's niece Victoria when he died in 1837. 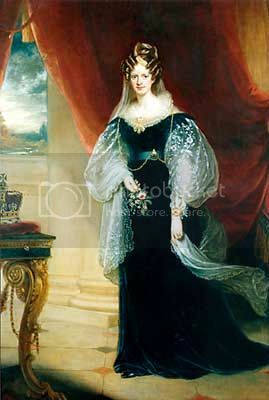 Queen Adelaide lived another 10 years or so after that and died in 1849. Queen Adelaide was still very much a part of the royal family after King William's death. 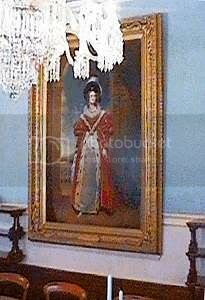 She attended many events with the new Queen, her niece, and Prince Albert, as well as her sister-in-law, the Duchess of Kent. 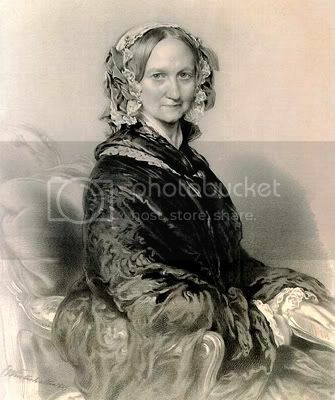 After Queen Victoria married Albert, she embraced Queen Adelaide but only shook hands with her mother the Duchess of Kent. The relations between mother and daughter at that time were still chilly due to the Conroy situation. She was not considered beautiful, but she was a warm-hearted woman. It was also sad for her to lose all her children during their infancy or early childhood. It also couldn't have been easy dealing with William IV with his loud, colorful language. 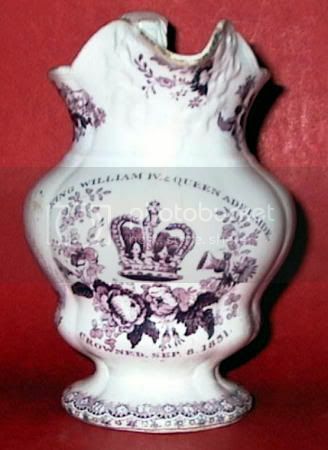 I think this is where George V got it from, William IV!! That is her Harry!! Good Work!!!! I have begun to think about what would Queen Adelaide say about the happenings with today's Royal Family?? I often think about that too tiarapin. I also wonder what she would think as well as Victoria, Elizabeth I, Mary I+2, William, George etc about the current goings on. I am sure they are probably not too happy about the Charles/Camilla marriage. Maybe a bit disappointed in all the divorces of the Queens children and sister. But then again, those past monarchs were not squeaky clean too, For example Henry VIII and his divrces and beheadings, Elizabeth I and her consent to kill her cousin. I think Elizabeth I was backed into a corner on that one. She refused for many years to not shed the blood of her cousin and of an anointed Queen. Mary, Queen of Scots was a potent threat to Elizabeth I. Whether the information about Mary's activities were lies or accurate, Elizabeth I acted on what she had to do to protect her throne. She didn't even read the writ of execution. She told her courtiers to mix it up in the papers and she just went through signing without reading any of the documents in that pile. Elizabeth was quite overwrought with what she had to do. Mary's own son didn't even protest her execution. He was too busy coveting the crown of England. Then again, William IV and George IV were rival candidates for the title of "royal wild child." Just think, if Charles had followed the example of George IV, he could have snuck Camilla off and married her on the sly... and then marry some other woman officially. Some of these ancestors -- even more recent ones -- eren't examples of moral rectitude. 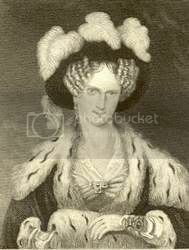 Queen Adelaide's husband, William IV, was living with a famed actress named Dorothy Jordan for 20 years and had 10 children with her. When George IV's heir, Princess Charlotte died, there was a new incentive to having a proper marriage and children. William rudely dumped Dorothy Jordan penniless (and she supported him through her acting jobs) and told her if she returned to acting her children would be taken away. Dorothy had to return to acting to survive, and the children were taken. Dorothy died a pauper's death. This is the man Queen Adelaide married. I don't know how she put up with him!! 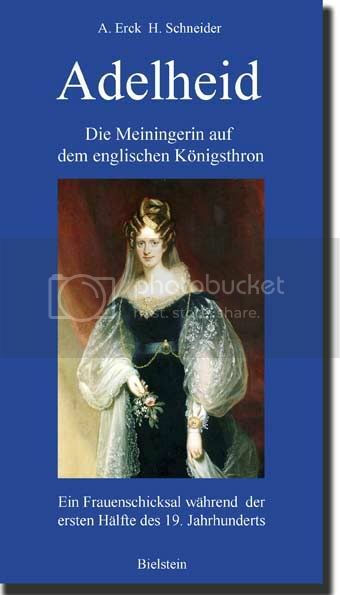 I wonder if her family made her, after all, she was just one of the lesser German princesses. I've never heard anything about that. But none of the sons in that generation were prizes. 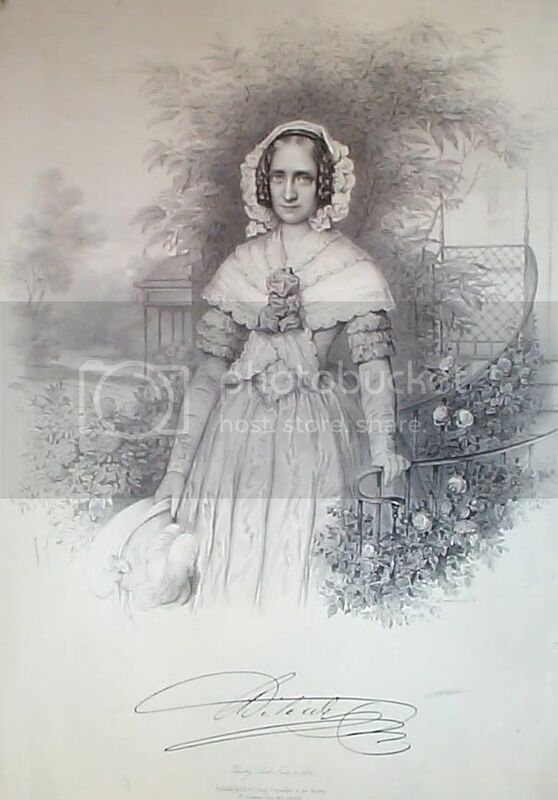 I always had the feeling that Queen Victoria's mother had to marry the Duke of Kent for financial reasons since she was widowed with two young children. 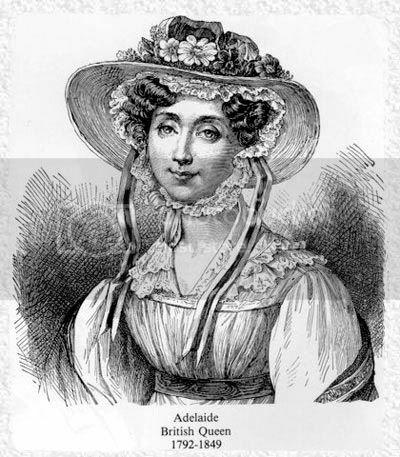 Adelaide was not William IV's first choice. He had proposed to a couple of other princesses who did reject him with their family's approval. William was desperate to get married and Adelaide of Saxe-Meinigen was a "spinster" princess at the age of 26. She, not wanting to remain a spinster, and the possibility of having a child who would succeed to the throne, led her to accept William. She couldn't completely foretell she would be Queen because Frederick, The Duke of York, was still alive then but childless. His wife was barren. 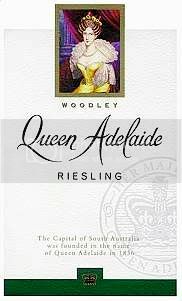 I am a big fan of Queen Adelaide. She had seven children, including a set of twins, but all died in infancy. 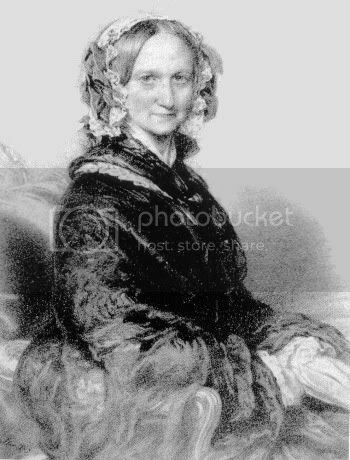 Only two were named - Charlotte Augusta Louisa (lived for one day) and Elizabeth Georgiana Adelaide who lived from December 1820 to March 1821. 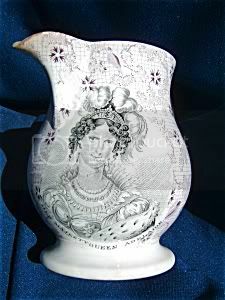 She was a very nice Queen and was quite close to her niece Queen Victoria. 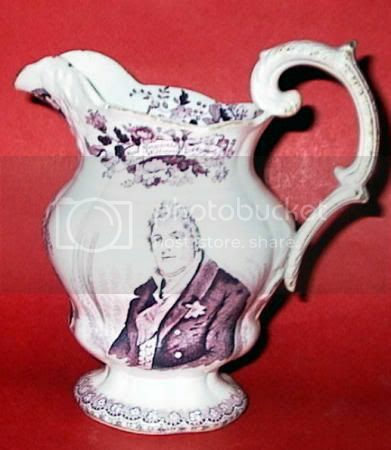 Queen Adelaide married King William IV on the 11th July 1818 before he was king. 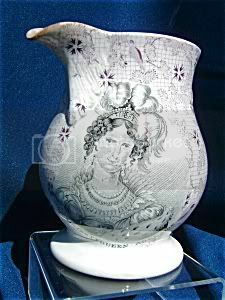 1831 CORONATION JUG QUEEN ADELAIDE. 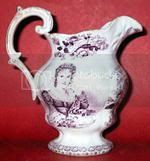 A VERY UNUSUAL QUEEN ADELAIDE 5 1/2"JUG. 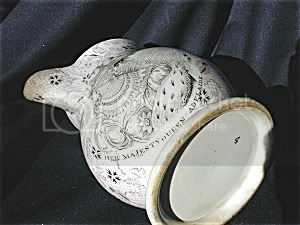 PRODUCED ABOUT THE TIME OF THE CORONATION OF KING WILLIAM IV AND QUEEN ADELAIDE. A DETAILED NAMED PORTRAIT WITH PLUMED HEADPIECE. THE BACKGROUND HAS BIRDS AND FOLIAGE. 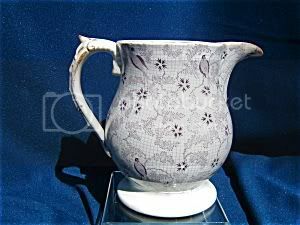 SOME WEAR TO THE GLAZE ON THE LIP AND THE HANDLE. THIS RARE PIECE IS SOUND WITH NO CHIPS, CRACKS OR RESTORATION.